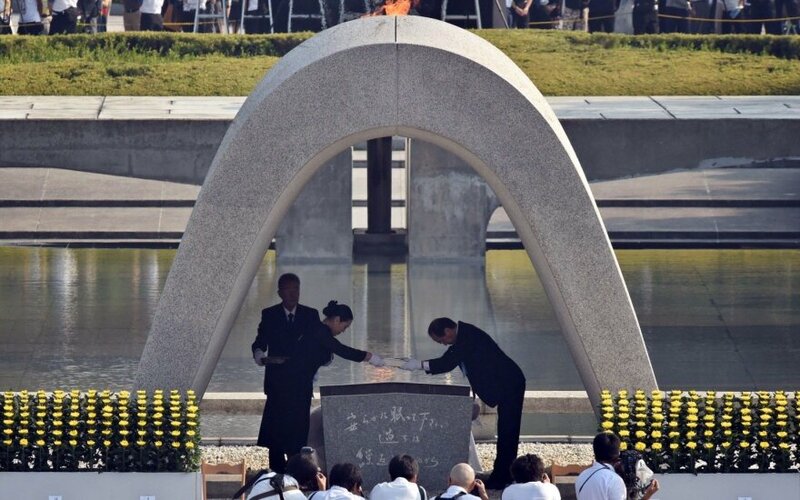 Lithuanian Prime Minister Saulius Skvernelis, currently visiting Japan, on Thursday honored the memory of Japanese diplomat Chiune Sugihara who rescued Jews from the Holocaust, and also paid respect to victims of the Hiroshima atomic bombing. "It is very important that Lithuania and Japan together preserve the memory of Sugihara. This diplomat's deed is an example of tolerance, humanity and justice for the future generations. 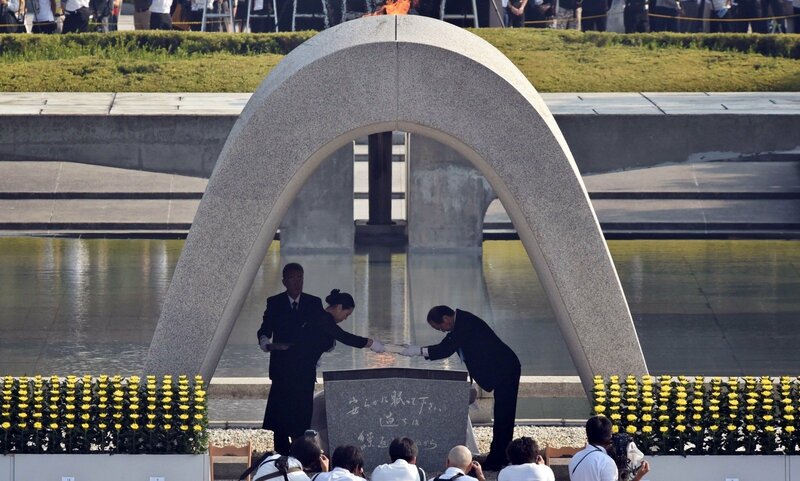 He was a man who issued visas for life," Skvernelis said after visiting the Sugihara Memorial in Nagoya. Japanese Consul Sugihara lived in Lithuania's Kaunas in 1939–1940 and together with Dutch Consul Jan Zwartendijk issued thousands of "visas for life", rescuing at least 6,000 Jews. The Lithuanian prime minister also visited Hiroshima to honor the memory of victims of the atomic bombing, and laid a wreath at the Hiroshima Peace Memorial. He also met with Hiroshima Mayor Kazumi Matsui. "By coming here, we want to show solidarity with Hiroshima. Your tragedy cannot leave anyone indifferent and is a warning for the humanity that it must take all measures so that it never happens again. I can assure you that Lithuania has always been and will also be in favor of peace and stability," the Lithuanian prime minister said. The head of government also visited the University of Hiroshima gave a lecture about Lithuania, its history and foreign policy, relations with neighboring countries and „Brexit“-related problems. The prime minister mentioned that Lithuania supports Japan's efforts to bolster regional security, adding that this country should have a stronger role in the UN system due to its economic and political potential. The Lithuanian prime minister also underlined that his country is looking forwards to the free trade agreement between the EU and Japan to come into forces, creating more opportunities for Lithuania to trade with Japan. After the lecture, Skvernelis received an honorary doctorate from the University of Hiroshima. On Friday, Skvernelis is scheduled to meet with Japanese Prime Minister Shinzo Abe. Lithuania's leaders have extended condolences to Japan over deadly floods.